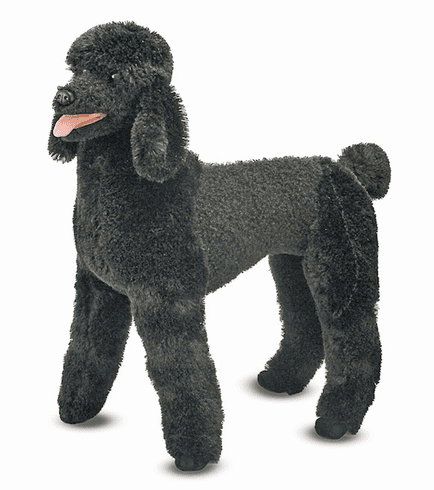 This standard poodle stands tall and elegant, showing off its fancy new haircut. With excellent quality construction and attention to lifelike details (such as pompadour-like grooming and a puff of a tail), this dog is "ooh-la-la!" Measures 23" x 20" x 8.5".